I’ve got Halloween on the brain. Actually, not just Halloween but anything potentially Autumn-worthy that I can add to the house. 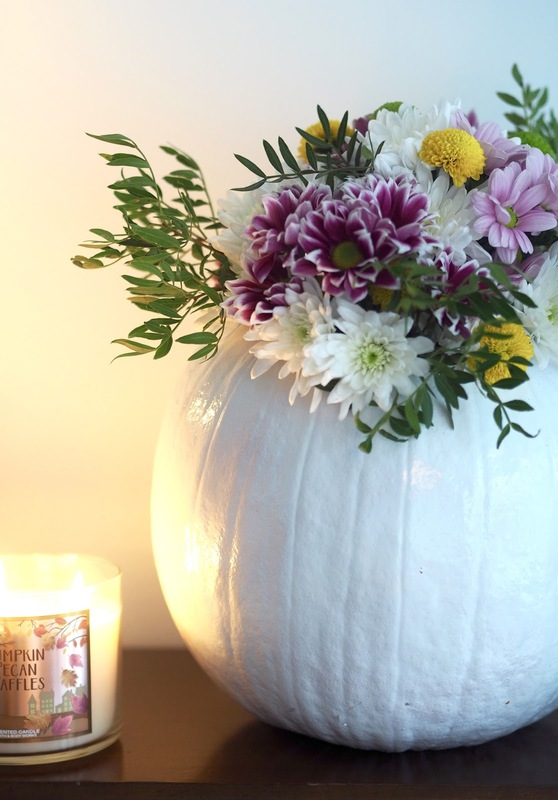 After a quick swoop through Pinterest, the pumpkin vase became my newest obsession and thankfully – it is surprisingly simple to execute. 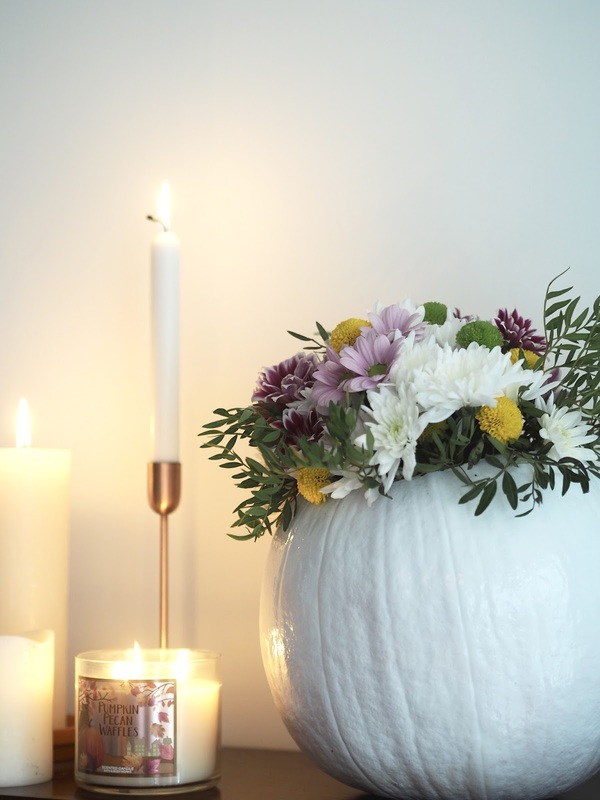 So if you’re looking for a stylish pumpkin centrepiece for a party or a way to fall-ify your coffee table then bookmark this page and don’t forget to send me a pic of your finished piece!! I am sure there are so many different ways you can decorate so i’d love to see different creations! 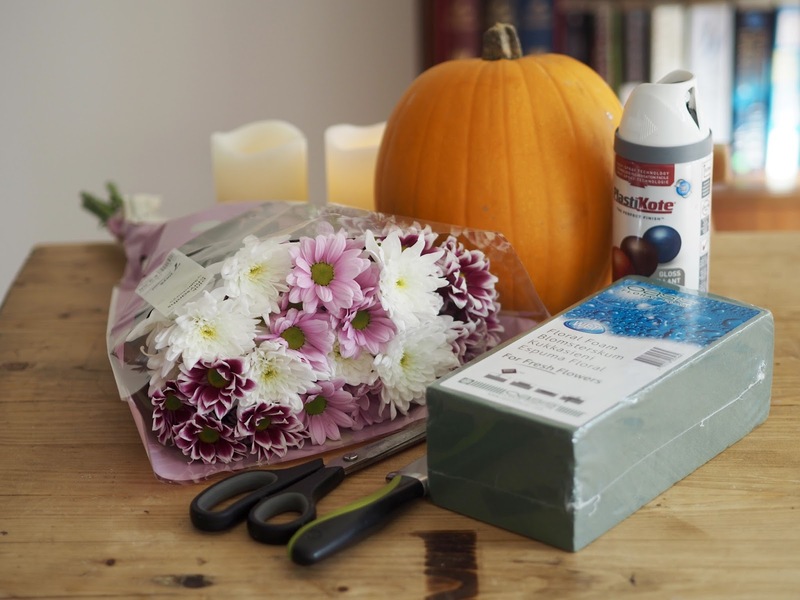 So you’ll need a pumpkin, a block of oasis, scissors, spray paint of your choice, a bunch of flowers and your usual pumpkin carving tools! Just hollow out the pumpkin as you would normally, discard the unwanted flesh and seeds and make sure the inside is as dry and clean as possible! 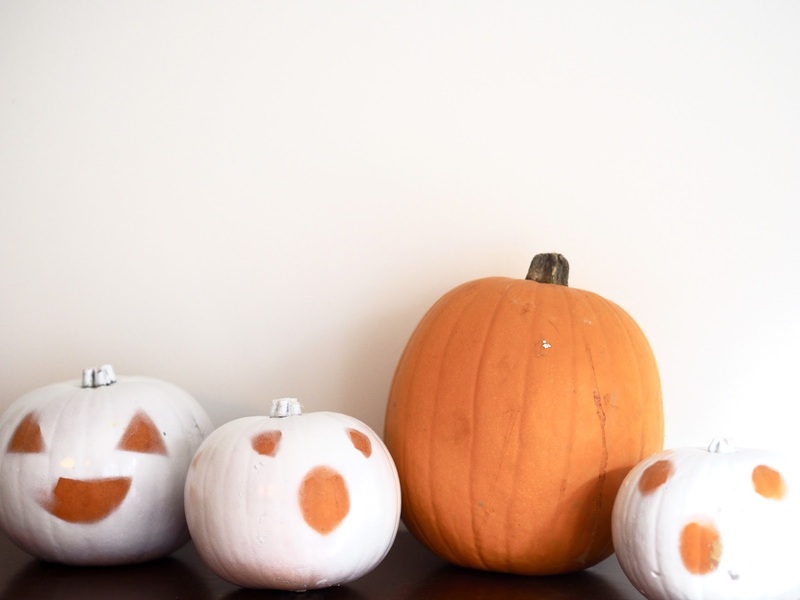 Put some newspaper down (or do this outside/in the garage) and spray your pumpkin in the colour you want. Multiple thin layers seems to work best. Meanwhile, soak your oasis. 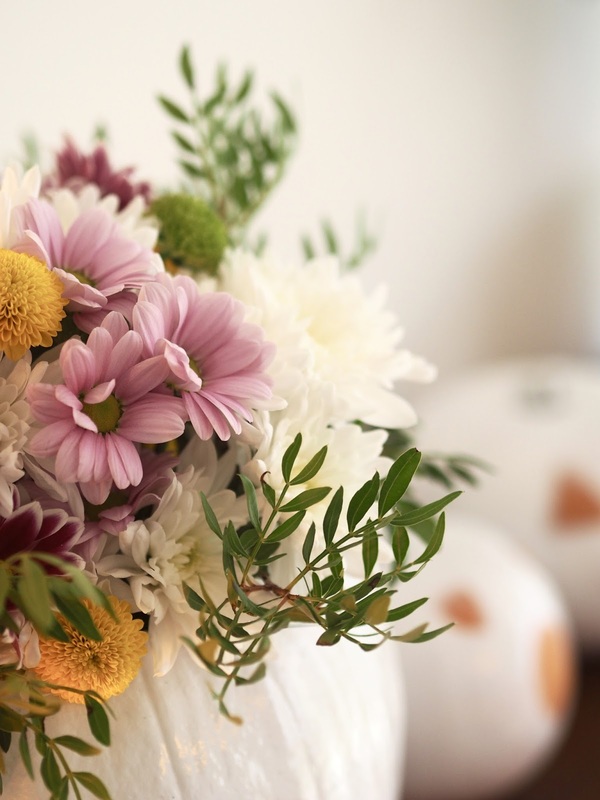 Oasis is really easy to pick up – try your local florist or craft superstore. You may even get hold of it in Pound Land or Wilkos – although I’m not 100% sure about that. 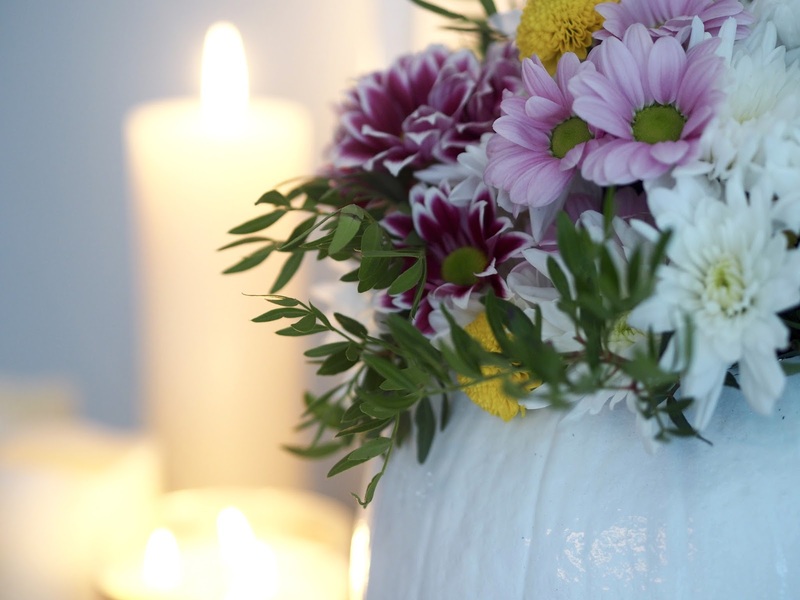 Soak your oasis by unwrapping it and placing it gently in a sink full of cold water. Don’t push it – it will sink on its own. If you force it underwater there will be air pockets in the oasis and you don’t want that. Wait until it sinks to the bottom and then take it out. The process usually takes around 2 minutes. 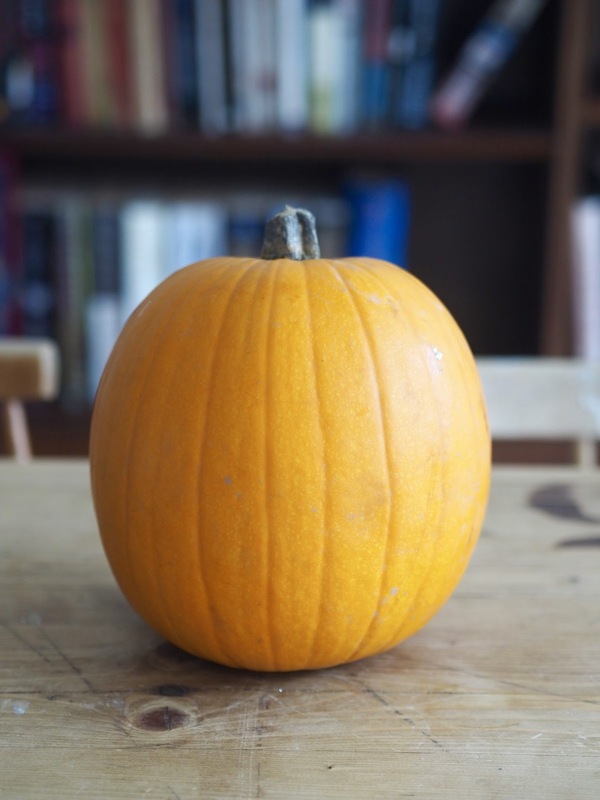 Cut your oasis with a knife, either in half or quarters to fit inside your pumpkin. 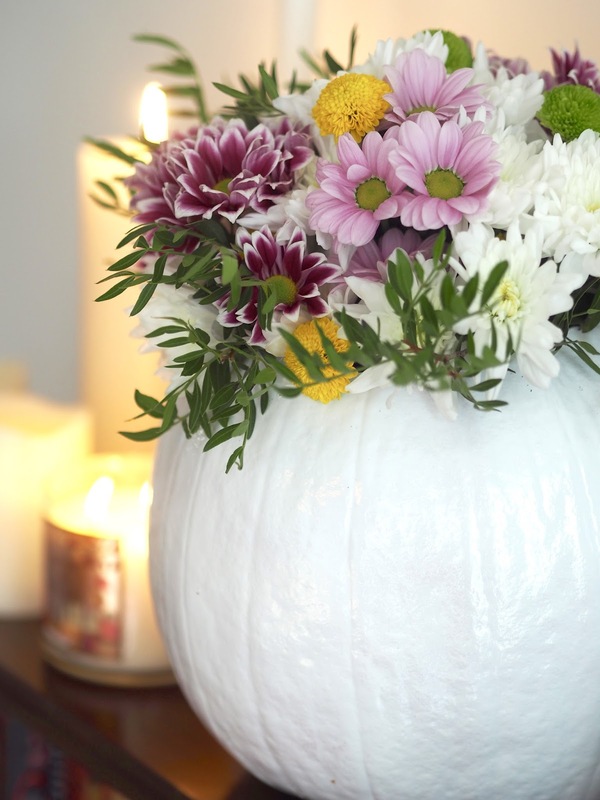 When your pumpkin is fully dry, you’re ready arrange your flowers! I am no expert, so I literally just had a bit of fun with it. 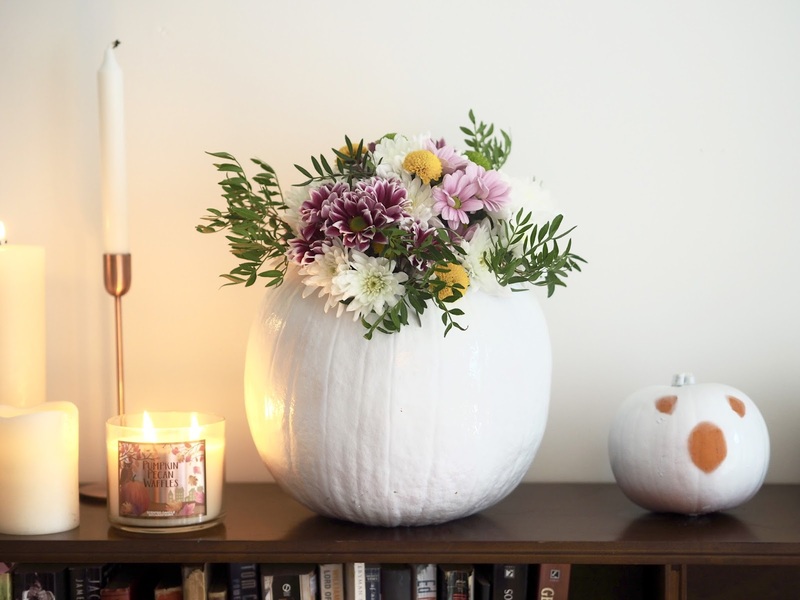 Cut the stems to the length you want them and sink them down into the oasis until it is all covered and you can’t see the inside of the pumpkin at all. What do you think? 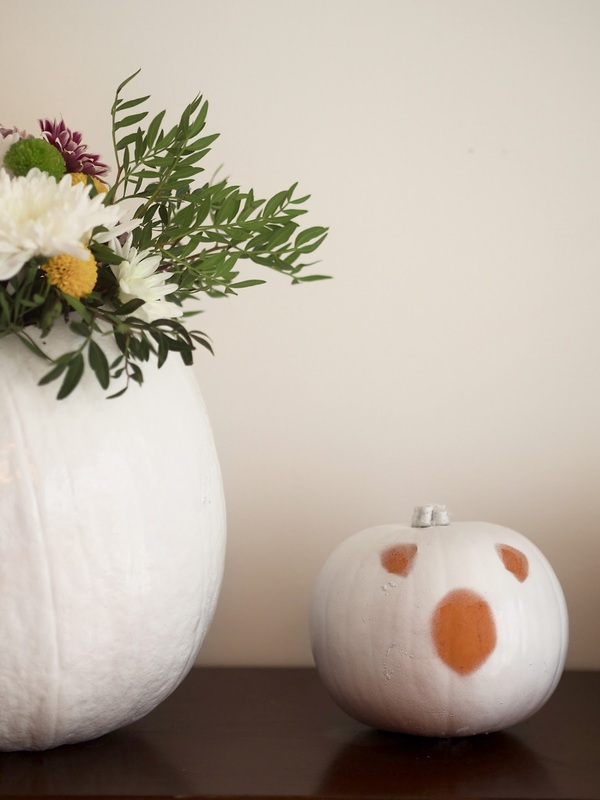 Will you attempt something a little different this year or do you have a go-to pumpkin design that never fails?